This is a stunning little piece of jewellery. 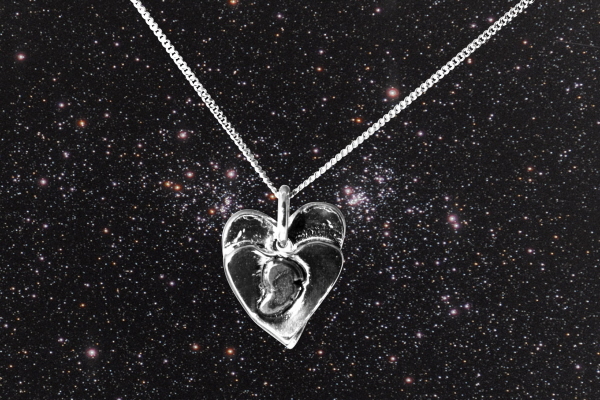 A solid silver heart has been inset with a piece of real iron meteorite. 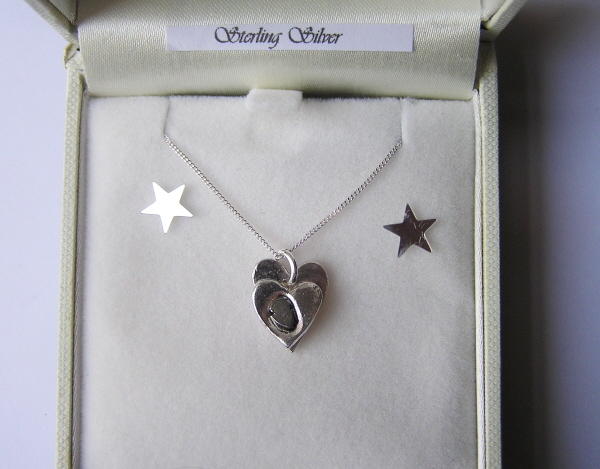 What could be more romantic than to give your valentine a real piece of shooting star! 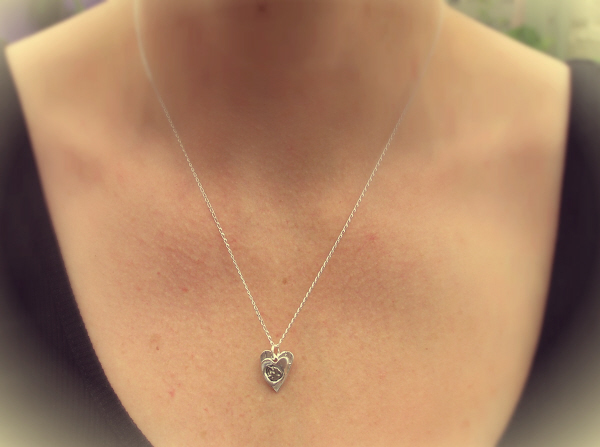 The heart has been strung from an 18 inch sterling silver curb chain, and boxed in a high quality jewellery box. You will also receive a signed certificate of authenticity and also an A4 colour meteorite information sheet. This is simpler than the older design, but please choose the one you prefer! The heart has been strung from an 18 inch sterling silver curb chain, and boxed in a high quality black velvet lined jewellery box.